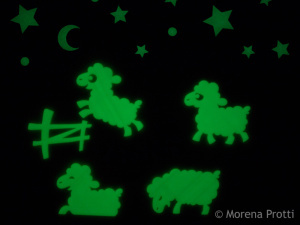 Counting Sheep to fall asleep! 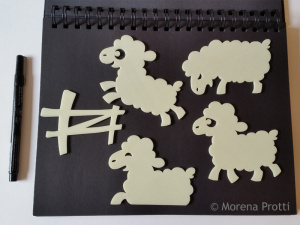 it’s a while I did the first jumping sheeps back in 2012, when I was still learning about 3D printing. This year I finally polished the design with improved style and cuteness overall. As usual, it took a few prototypes, where I wanted the silhouettes to be easy to read at night, and I’m very happy with the final result. People should be able to print or order only the sheep they want. I like the idea to have a composition on the wall at night, where people can personalize the glow in the dark silhouettes as they want to tell their own story. If this will be well received, I’ll start to work on new designs, adding to the story. For now, You can purchase them already printed from Etsy, or 3d print them directly on Pinshape (check out all my designs to print on my Pinshape page! ).